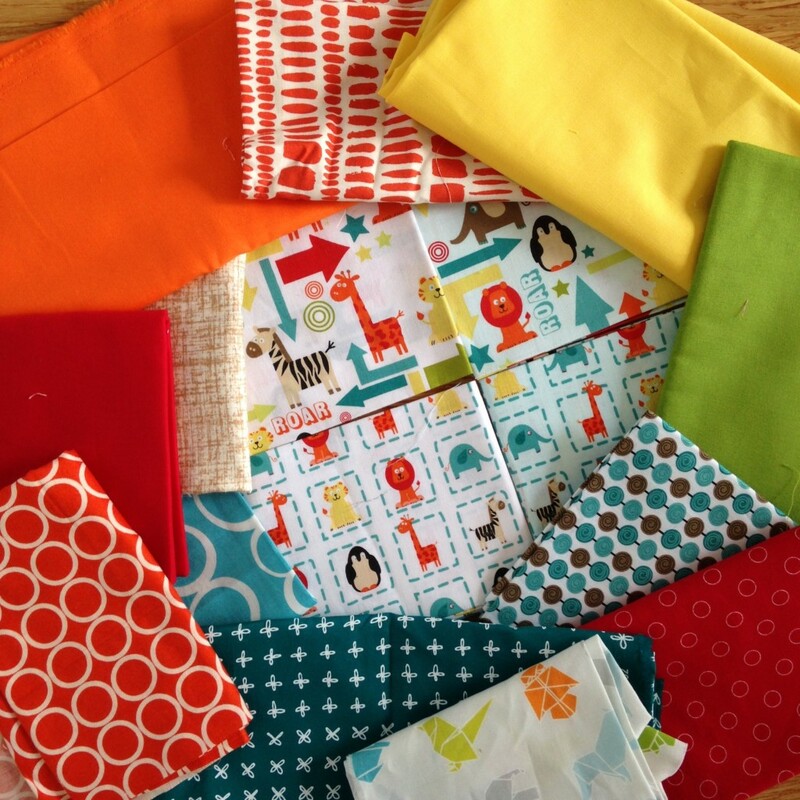 I cut 4″ strips from each fabric and divided those into 4″ square, 7.5″ strips and 11″ strips and played with a layout on the kitchen floor; at this point I realised I needed to cut a bit more fabric. 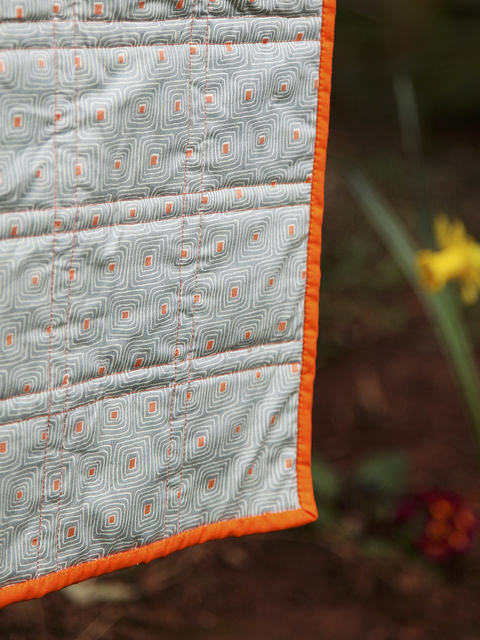 I used Aurifil 50 wt 1104 which I’d bought for quilting the Groove quilt; it’s a perfect match for Kona Torch – the orange solid in the quilt and also used for binding. The backing fabric is a Walkabout Square by Beth Studley and I bought 4 metres of it a couple of years ago with quilt backs in mind. 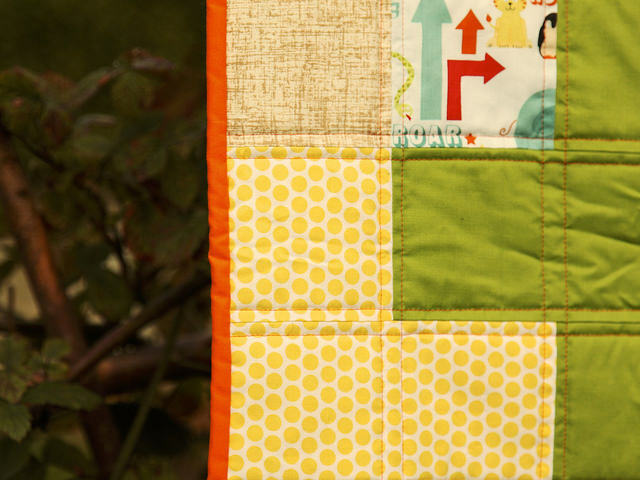 I love backing baby quilts because the width of them means there is no need to piece the back. 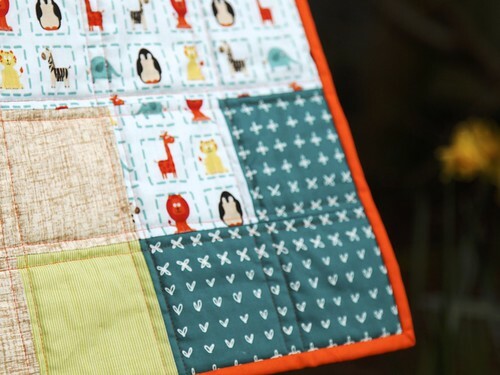 A relatively quick and easy make, all ready to keep the newborn snug and warm. 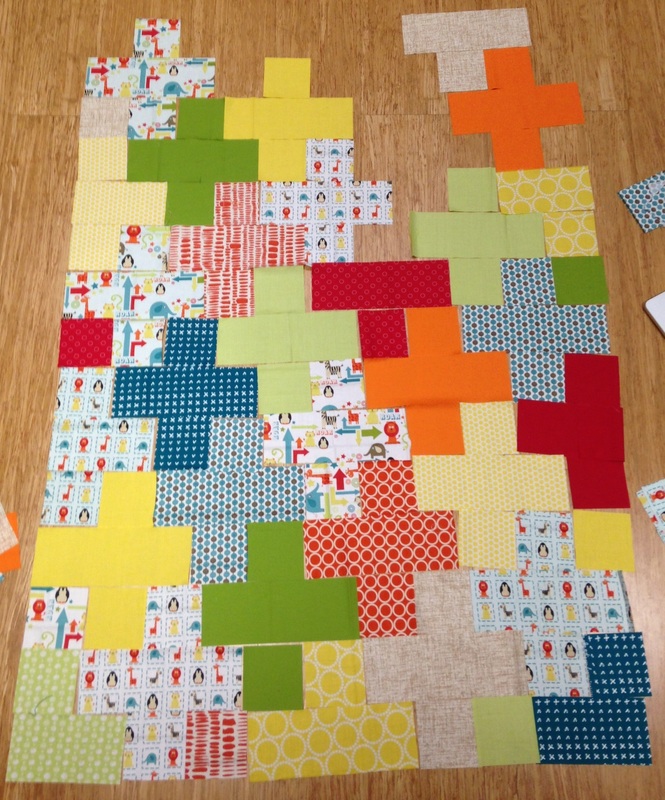 Have you ever used the same quilt pattern more than once? This is one I’m happy to repeat. 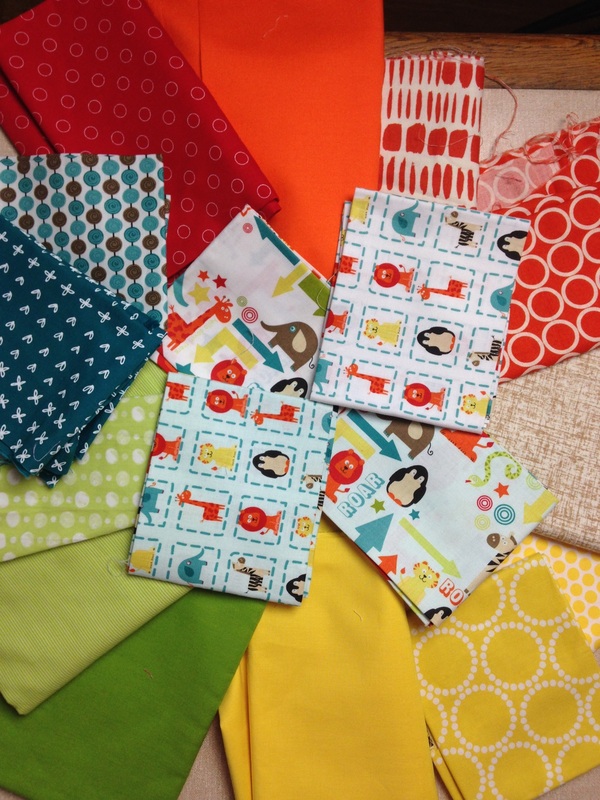 Fabrics: Alphabet Soup by Riley Blake, Kona: Torch, Canary, Cardinal, Lime, Blueberry Park Allotment, Pearl Bracelets, Rings by Holly Holderman, green pinstripe by Marisa and Creative Thursday, Metro Circles, Summersville by Lu Summers and some unknown other bits! 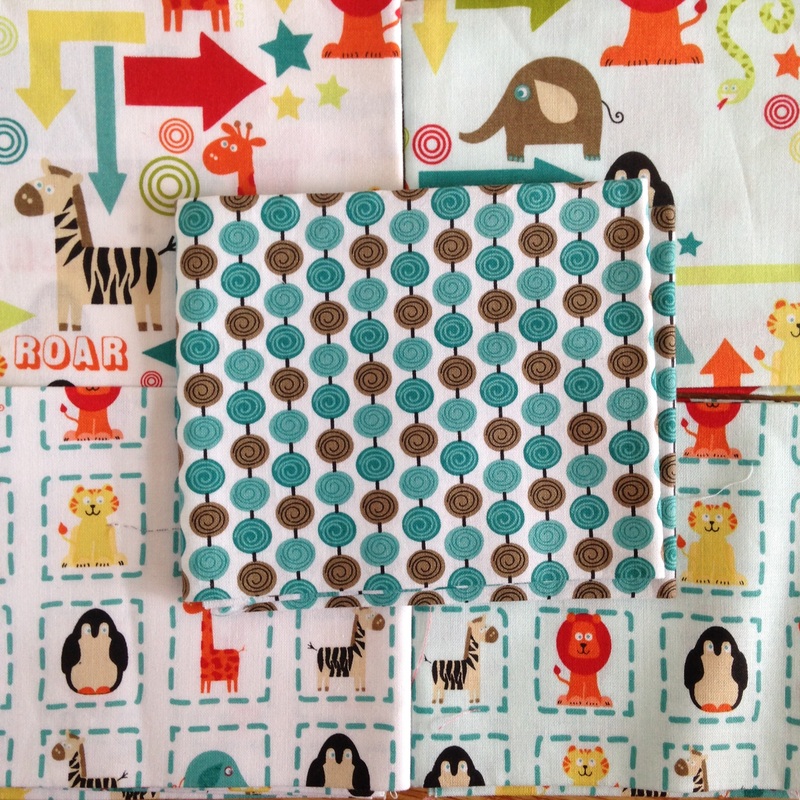 what a lovely fabric combination! 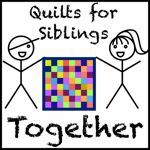 You are very good at fitting fabrcs to quilt designs! 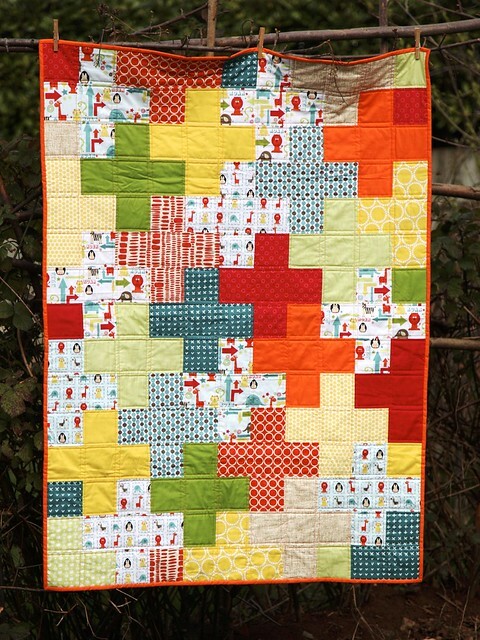 Such a cheerful quilt, and a great pattern! 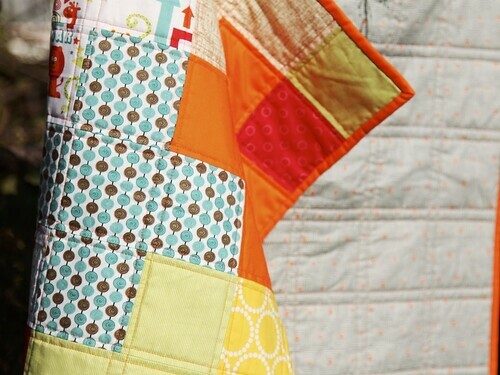 And I think you’re right, it’s a great baby quilt for either gender! Adorable! You picked the perfect fabrics to go with that line!